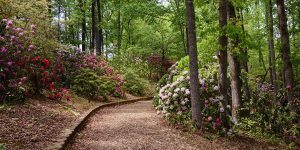 HIAWASSEE, Ga. – Towns County Historical Society hosted a full house of guests interested in learning the history of Hamilton Gardens, a botanical paradise tucked away beside the Georgia Mountain Fairgrounds. Executive Director of Hamilton Gardens, Grace Howard, offered a lively presentation of how the gardens were in the past, and what the board of nine members hope for in the future. Christened official botanical gardens by state legislature in 2000, Howard said that the gardens now boasts between 1500-1800 plants. The mission of the gardens is to “restore, preserve, and enhance” the 33 acre land. Howard deemed Feb. 2016 historic, as the non-profit assumed the management of the hidden paradise, and began immediately reaching out to the community for involvement. 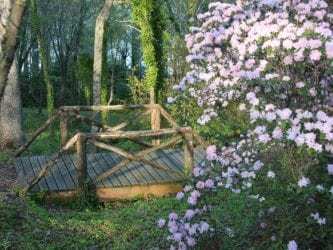 Clay County Master Gardener Volunteer Association redesigned the rugged entryway, Enotah Garden Club freshened overgrown beds, and repairs on bridges, paths, and a water wheel ensued. The gardens now flourish, but Howard said that it is an ongoing project of updating and maintaining the land. Future plans include greenhouse restoration, updating the irrigation system, building a concert stage, improving trails, and advancing plant identification efforts. 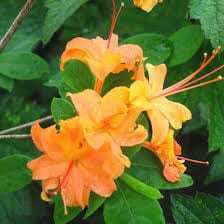 Additional information can be found on Hamilton Gardens’ website. HIAWASSEE, Ga. – Towns County Historian Jerry Taylor shared an encore presentation on the mystery behind the unique names of area locations, entertaining a crowd of nearly a hundred at the historical society’s monthly meeting Feb. 11. “Woven into the folklore of Towns County are colorful names of communities, creeks, waterfalls, roads, and country lanes. A search to find out who named these spots and why they chose the names reaches back into the dim and shawdowy yesterdays,” Taylor began. Dozens of locations such as Scataway, Shake Rag, and Bugsscuffle were featured and Taylor explained that the legends behind the chosen names had been passed down through generations. Many other locations were simply christened after the surnames of early settlers. Intriguingly, Hiawassee itself could have been known as Boston had the Cherokee translation for “meadow” not been adopted. “It’s in the courthouse minutes’ books,” Taylor chuckled. “They designated the county seat Boston for a few months, and then for awhile it was Watson’s Crossroads.” Hiawassee bore the title of Shady Grove for a short period of time as well. An article on Taylor’s previous presentation on the history of local Cherokee names is available.. Towns County Historical Society meets on the second Monday of each month at 5:30 p.m. at 900 N. Main St. in Hiawassee, the site of the old recreation center. Grace Howard of Hamilton Gardens is scheduled to speak at the March 11 meeting. 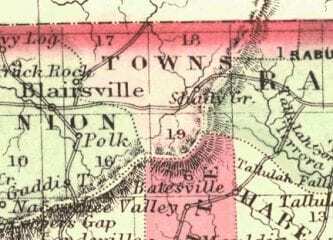 Feature Image: A 1863 map of Towns County, Georgia, when Hiawassee was known as Shady Grove. 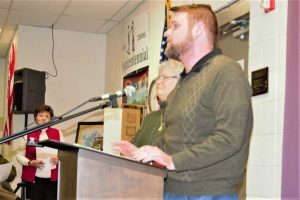 HIAWASSEE, Ga. – Towns County historian and newly-elected vice president of the historical society, Jerry Taylor, dispensed a presentation on the correlation between the names of local areas and their Cherokee origins on Monday, Jan. 14. “They are gone like the buffalo and the elk which once roamed the mountain valleys…,” Taylor began. Hiawassee, derived from the Cherokee word “Ayuhwasi” which means meadow, savannah, or pretty, green place, was once known as Watson Crossroads prior to 1856. Taylor explained that many of the roads in Towns County were named according to their function. Hog Creek, for example, was where the hogs freely roamed. Fodder Creek harbored stacks of corn fodder which was used to feed livestock during the cold, mountain winters. Tallulah translates to terrible. Talking Rock converts to echo. Choestoe transcribes to land of the dancing rabbits. “It means more rabbits than you can shake a stick at,” the friendly historian said with a chuckle. Taylor listed a host of locations interpreted from the Cherokee dialect. Taylor provided the history from an early-1800s census, telling the tale of a Cherokee elder named “Sweetwater” who resided along the Hiwassee River. The household consisted of 13 Cherokee tribe members, one of whom was a weaver, another a farmer, and five were cited as spinners. 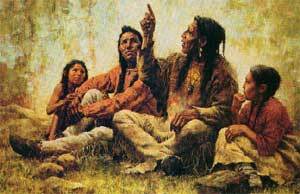 Five could read English, and seven could read Cherokee. “Everytime we use these words we’re acknowledging whose land this really is,” Taylor informed the intrigued group that had gathered to listen to the well-informed historian’s stories. 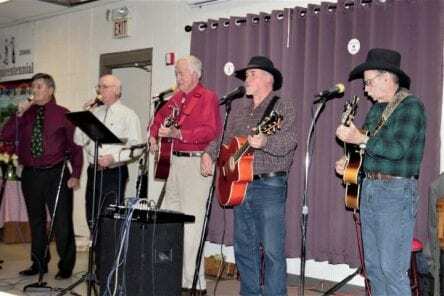 The Towns County Historical Society convenes monthly at 9oo N. Main St. in Hiawassee. The upcoming meeting, open to the public, is scheduled for Monday, Feb. 11, at 5:30 p.m.
HIAWASSEE, Ga. – Towns County Historical Society held their 2019 board election on the evening of Monday, Jan. 14, following rescinded resignations from three presiding officers. President Sandra Green faced challenger Terry Lynne Marshall, with Green securing reestablishment, along with the unopposed reelection of Treasurer Frances Shook and Membership Secretary Mary Ann Miller. Historian Jerry Taylor was elected to serve as vice president, a post vacated by former officer Nancy Cody. Secretary Betty Phillips was defeated by 22-year-old Tyler Osborn. Phillips graciously congratulated Osborn, adding that she believes the group can continue to work together to benefit the society’s mission. Nominations were unexpectedly accepted from the floor, adding Osborn to the ballot on election night. Brief, sole-sided conflict ensued preceding the paper-ballot vote as presidential candidate Terry Lynne Marshall adamantly refused to speak with President Sandra Green situated beside the podium. Marshall recited a lengthy resume of qualifications, stating, “I really don’t want to be president, but I feel the need to be now for this group.” Marshall served as the historical society’s president from 2003 until 2012, relinquishing the post to care for her aging parents. Marshall relayed that her paramount concern involves proper, permanent preservation of “Wisdom of our Elders,” a historical timeline of recorded interviews. Marshall voiced dissatisfaction with the current handling of the records, and strives to forge a group of volunteers dedicated to the project. Prior to the casting of ballots, Green, a key player in the restoration of the Old Rock Jail museum, humbly stated a passion for history as her cardinal qualification, explaining that the Towns County Historical Society is the only organization to which she is devoted, adding, “I am very proud of what I have done.” Green remained composed throughout the meeting. FYN spoke with Green after the election to inquire whether the matter regarding the recorded interviews will be addressed. Green stated that discussion will take place at the society’s upcoming executive meeting, with the item potentially placed on February’s agenda. HIAWASSEE, Ga. – Four days after announcing a decision to vacate posts, three Towns County Historical Society officers have rescinded their resignations, choosing to remain on tonight’s election ballot. “As you may be aware, several officers submitted an unofficial oral resignation at the last officer’s meeting and notification was posted on Facebook and via email,” Green stated, “Due to overwhelming outcry from the membership, these officers have decided to rescind their resignations for the good of the mission of the Towns County Historical Society: preserving and sharing the rich history of our area. Towns County Historical Society meets this evening, Monday, Jan. 14, at 5:30 p.m. at the Old Recreation Center, located at 900 N. Main St. in Hiawassee. Jerry Taylor will present a program on the Cherokee names of the area, following the business portion of the meeting. HIAWASSEE, Ga. – Towns County Historical Society President Sandra Green announced on Thursday, Jan. 10, that four officers, herself included, have resigned their positions, effective immediately, and will not seek reelection on Monday, Jan. 14. In addition to Green, Treasurer Frances Shook and Membership Secretary Mary Ann Miller will no longer serve on the board. A statement that Vice President Nancy Cody would not seek reelection was delivered at the historical society’s December meeting. While the specific circumstances surrounding the decision to step down from the positions are unclear at the time of publication, FYN will continue to seek clarity in the coming days. It is known that the society met earlier in the day for an executive session where alleged conflict ensued, leading to the resignation of the officers. Towns County Historical Society meets at 5:30 p.m. on Monday, Jan 14, at 900 North Main St. in Hiawassee. 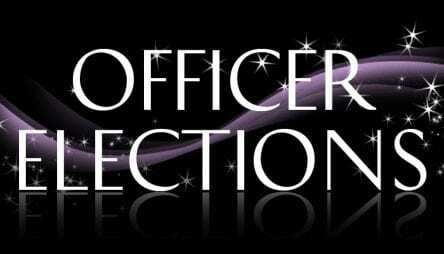 Members are eligible to vote in the officer election. HIAWASSEE, Ga. – Renovation to Towns County’s “Old” Recreation Center, located at 900 South Main Street in Hiawassee, has been completed, and the building now serves several functions, one of which provides indoor space for pickleball players to enjoy on weekdays from 7 a.m. to 2 p.m. In addition to newly-installed LED lighting, fresh coats of paint, and necessary roof repair, the worn gymnasium flooring was removed, the work of inmate labor, and new flooring was installed. Pickleball, a sport especially popular with the baby boomer generation, combines the elements of badminton, tennis, and ping pong. Two-to-four players participate in single or double teams, using wooden paddles to serve a plastic ball across a court. According tothe USA Pickleball Association (USAPA), the rules are simple and the game is easy for players to learn, although pickleball can develop into a fast-paced, competitive sport for experienced players. The Georgia Mountain Pickleball Tournament for CASA will be held on the weekend of Aug. 31, 2019, in Hiawassee. The renovated recreation center will also serve as additional space for basketball games and tournaments, and an indoor batting cage for baseball players during inclement weather. Furthermore, the center functions as a meeting place for the Towns County Historical Society’s monthly presentations. 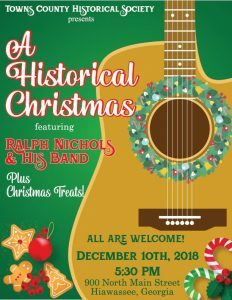 HIAWASSEE, Ga. – Ralph Nichols and the Hiawassee Opry Band entertained the Towns County Historical Society on Monday, Dec. 10, with a mixture of gospel and classic Christmas songs, delighting a crowd of 72 attendees. Nichols formed his band nearly two decades ago, and continues to perform at reunions, revivals, and homecoming celebrations on a regular basis. 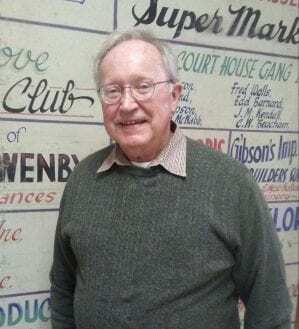 A music hall once stood in Hiawassee where the A-to-Z store is currently located, and each Saturuday night from April to October for 16 years, Nichols and his crew would charm music lovers from miles around with their feel-good tunes. “We had people come from everywhere,” Nichols shared with a smile. 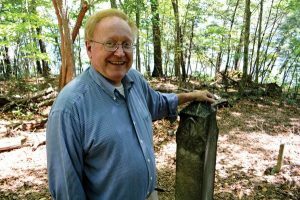 Ralph Nichols was the historical society’s guest speaker in August, sharing tales of Tate City. In other news, Towns County Historical Society Vice President Nancy Cody is vacating the position. 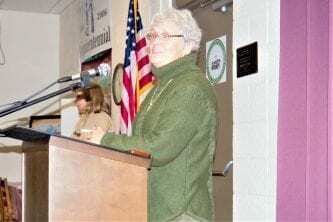 “She has done an incredible job, not only in selecting speakers, but also along with her sister, Annette Cook, oral history interviews,” Historical Society Secretary Betty Phillips relayed. The election for historical society officers will be held Jan. 14, 2019. Paid historical society members will be eligible to vote. Towns County Historical Society meets on the second Monday of each month at 5:30 p.m. at the old recreation center, 900 North Main St. in Hiawassee.